On Christmas day we saw royal flycatcher, white-ruffed manakin and black-hooded antshrike in the Cerro Hoya NP. We heard Great Green Macaws flying over. 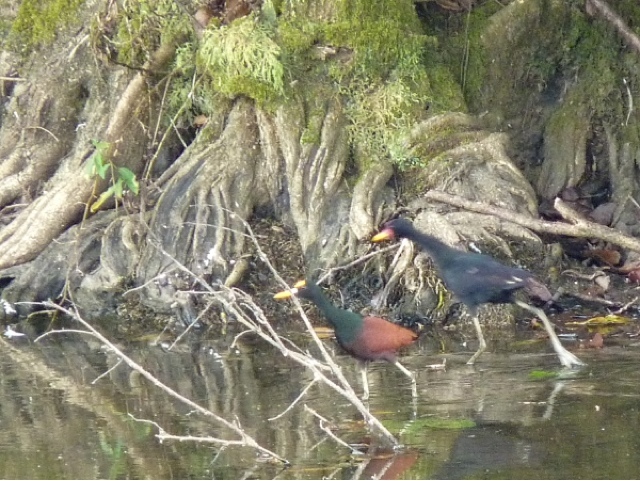 On the way back, we visited a small catival where we spotted northern and wattled jacana side by side. On the trip to Coiba on 27 Dec 2012 we saw Galapagos shearwater. On a second trip to COiba (3 - 5 Jan) we saw 7 scarlet macaws flying over the mangroves near the central prison and brown-backed doves and coiba spinetail on the Sendero Los Pozos.